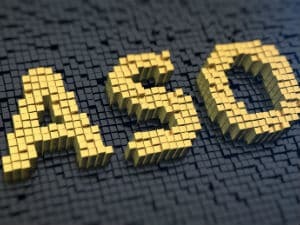 This article provides useful ASO tips for Google Play Store. After reading this, you should be able to cover at least the basics of google play store optimization for your mobile app. Thanks to millions of mobile apps that make the life easier, more colorful, provide access to information, or just help with spending some time. Smartphones have become indispensable in any part of our lives today. Ever the increasing number of mobile apps can be seen as a confirmation for that. According to announced statistics, by September of 2016, there are 2.4 million mobile apps on Google Play Store. This is advantageous for store users, but also means a steep path for mobile app owners. To be able to get into the spotlight, and not to get drowned among almost 2.5 million apps, putting effort into the ASO (app store optimization) becomes a necessity. But how to do ASO on Google Play Store? When beginning this effort, the first thing to do is to conduct a keyword research. You may choose words about your app, or make use of the ones used by other mobile apps. Some tools will show you what words your rival app users are using. Repeating the keyword research process frequently can help with staying in touch with changing search behaviors by the users. It’s nice to include the most important ones among the chosen keywords in the app’s title, and its description. Although, continuous repeating of such words may be considered spamming by the Google Play Store. It is critical to compose these text in an original, reader-friendly language, and in a form that will not tire the user. Just pay attention to including the keywords inside the text naturally. App’s icon, descriptive screenshots, and video should be of high quality, interesting, and relevant to the app’s subject. Google’s support page on this topic, which includes information on technical properties of such visuals, can be useful to you. Localization can be summarized as providing language support for the mobile app. From ASO perspective, if you plan to grow your mobile in the international arena, multi-language support or adaptation to different time zones can help with that. It is also a good idea to pay attention to the keywords and search results for various languages. For both the Google Play Store and the users looking for a mobile app, one of the most important criteria is the app rating and feedbacks. Apps with higher ratings will be listed higher up, and the comments made on them will have a significant role in the user’s decision on downloading the app. Therefore, channeling the people already using the app, to rate and comment is a major step towards the app store optimization. Just like in a standard SEO, link building has high returns for the ASO too. Publishing content about the app on relevant websites, and classic link building techniques is all that is needed. It is also a good idea to mind the reputations of websites to publish the content on. Link building efforts on reputable websites, with more meaningful content, and with higher traffic, tends to result in much better returns. ASO is of great importance for the companies that own mobile apps to be able to step ahead of their competitors in the app stores. But, you also need to have a high quality and modern mobile app to support your ASO efforts. If you too want to create an app that will satisfy the expectations of the users, create your MobiRoller account now, and make a solid entry into the world of mobile.